(Jan. 12, 2019) California Schools JPA created a “buzz” at the California Purchasers Health Care Coalition Conference (CPHCC Conference) on Jan. 9 through 11. in San Diego. 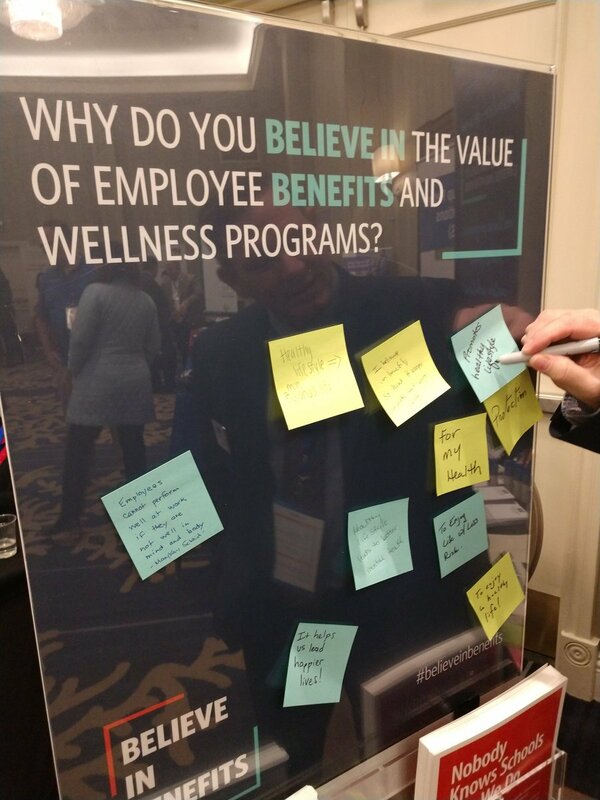 With its exhibit booth and #believeinbenefits hashtag, it asked attendee the question “Why do you believe in the value of employee benefits and wellness programs?” They were invited to answer the question in a special display at the California Schools JPA exhibit booth. Attendees were given “I Believe in Benefits” stickers to add to their conference attendee badges. The creative approach for the exhibit booth was developed by The Shoestring Agency. Established as the premier employee benefits education forum, the Annual CPHCC Conference arms you with the latest news and updates you need to navigate the complexities of today’s health care environment. California Schools JPA is a group of shared risk pools (CSEBA and CSRM) that act as the liaison between school districts and their necessary insurance; using our expertise and advocating for school districts so they can maximize the dollars spent on education. Our overall mission is to alleviate the burden of risk management and member benefits form school districts so they can focus on their mission of changing the world one student at a time by educating young minds. Because we are a not-for-profit, every dollar that our members put into the pool is used by them.